Well, the San Francisco Giants have done it again. They have drastically overpaid to re-sign 2 time Cy Young award winner Tim Lincecum. They have agreed upon a two year, $35 million contract. He will be paid $17 million in 2014 and $18 million in the 2015 season. The contract seems fair for what Lincecum has achieved in his career with the Giants. He was once the most feared pitcher in the game, winning two straight Cy Young awards in the 2008 and 2009 seasons. After which, he deserved his arbitration money (he was still on his rookie contract up to then, while winning the CY Young Awards); he was paid $9 million in 2010 and $14 million in 2011 after arbitration. At that point, he was still a top pitcher in the NL and most felt that the Giants were getting good bang for their buck, helping the Giants win a world series title along the way. Before he had a chance to become a free agent, the Giants signed Lincecum to his first big contract: 2 years, $40 million which he was paid $18 million in the 2012 season and $22 million in the 2013 season. That deal turned out to be a bad one for the Giants. Lincecum ended up having the two worst seasons of his career. In 2013, Lincecum went 10-14 with a 4.37 ERA and 193 strikeouts in 32 starts this season. $35 million to pay a pitcher on a downward trend doesn’t seem like fair money for what he is really worth. The Giants have faith in Lincecum. He definitely has the talent to turn his career around, the question is does he still have the “stuff.” He velocity has steadily been decreasing and he is down to an average fast ball veocity of 91-92. There had been rumblings that Lincecum wanted to test out the free agent market. He was born and raised in Seattle, and lives there during the off season. 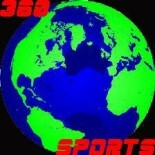 The reports were that he was going to hold out on his decision until he had heard an offer from the Mariners. However, it had come out in the last week or so that Lincecum had told Giant’s GM Brian Sabean that he wanted to stay in San Francisco if possible. On his final start of the season, fans held up signs that read “San Francisco Loves You” and “Timmy Don’t Leave.” Lincecum then tipped his hat to the fans, something he never does. 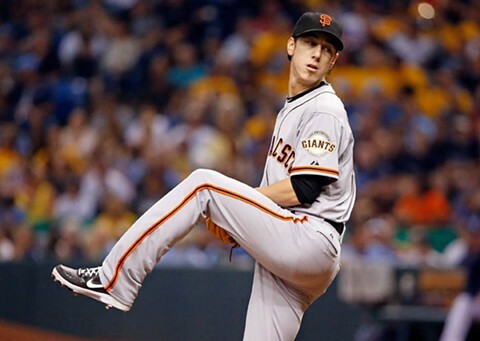 San Francisco hopes to get every last ounce Timmy, the Freak, Lincecum they can. They believe this massive contract will help. We’ll see... He did throw a no-no after all. This entry was posted on October 23, 2013 by Idalia Topete in Analysis, MLB and tagged Brian Sabean, Buster Posey, Cy Young Award, Lincecum, Pablo Sandoval, San Francisco, San Francisco Giants, Tim Lincecum.